More commonly known by its Hellenic name of uraeus, the iaret or rearing cobra is synonymous with the goddess of Lower Egypt- Wadjet. The symbol was adopted by the Kemite kings and from the Middle Kingdom the rulers always wore this image on their brows. 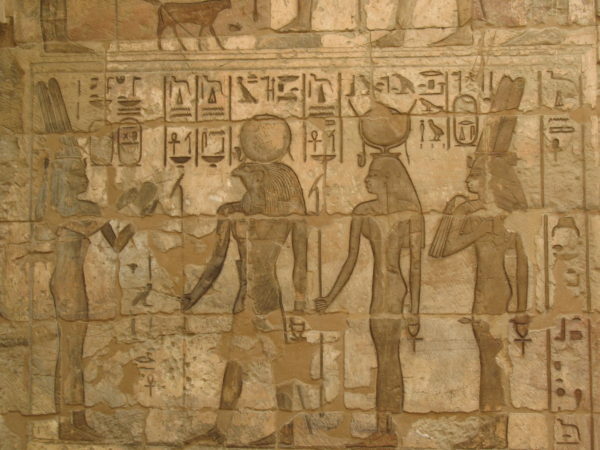 The iaret served two purposes: first, it referenced the King’s rule over the northern part of Kemet; second, it protected the royal representations and so the king. 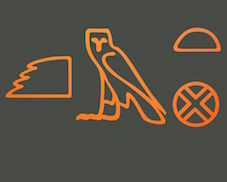 On some royal representations from the New Kingdom, the cobra appears with the vulture, representing the goddess Nekhbet, who was the southern counterpart of Wadjet, together the goddesses were referred to as the Two Ladies (Nebet Tawy), which became the title for the Nebty name of rulers. Only one group of rulers wore the double cobra: those of Dynasty 25, who ruled Kemet and Kush simultaneously. It is thought that the dual iaret representing the two regions and that this is why it is only found on male rulers dating to this period. Royal women generally wear a single cobra on their brows; however, when elevated to a goddess, they were awarded the vulture for protection and to recognise their status. This can be seen on the wall painting above where Ahmose Nefertari wears both a vulture and a cobra, representing her royal and divine status. 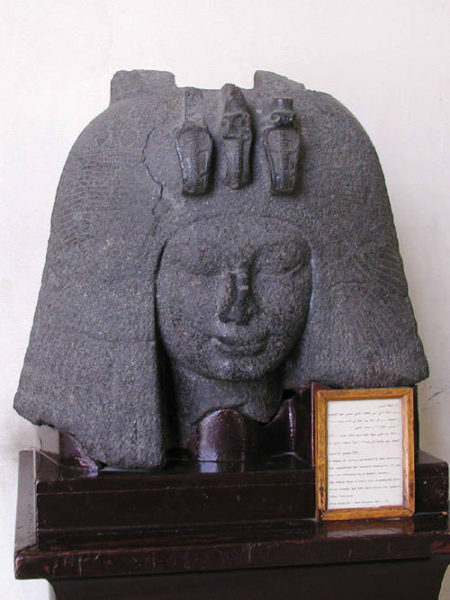 The first royal female to wear two cobras was Iset, who was the wife of Thutmose (II) Aakheperkare (1492-1479 BCE) and mother of Thutmose (III) Menkheperre (179-1425 BCE). On the statue above the Iset takes the title Mother of the King, and it is possible that the dual cobras were intended to distinguish her in this role as opposed to royal wife; unfortunately not enough statues survive to know whether she consistently wore the dual version of the royal motif. 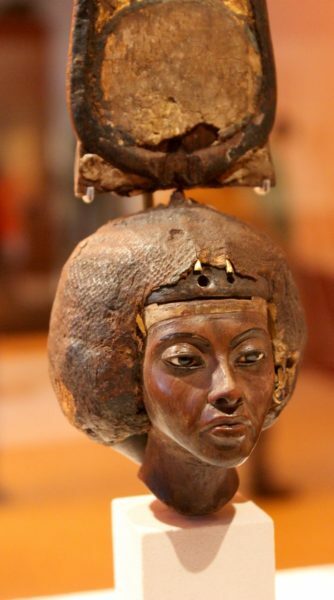 Royal Wife of Amenhotep Nebmaatra (1388-1351 BCE)- Tiye- wore two cobras and a vulture on her representations. As you can see from the statue above, the cobra and vulture wear their appropriate geographical crowns thus representing the unification of the Two Lands of Kemet. The central figure of a vulture appears because the royal wife wears a full vulture headdress- if you look carefully on the statues above and below you can just seen the feathers of the vulture’s wings sitting on top of her hair. 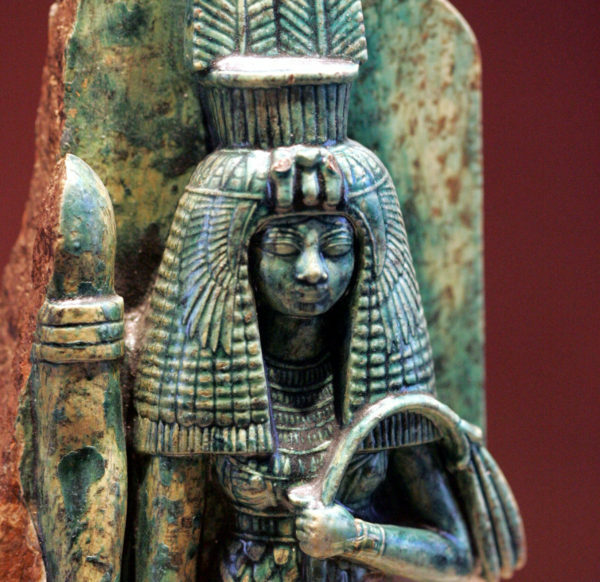 Detail of a statuette of Tiye. Louvre, Paris. Even the smallest of representations of this queen bore the same iconography, as illustrated by the small faience figure above. It is possible that Tiye adopted this iconography after the Thirty Year rule of her husband was celebrated- the Heb Sed festival. 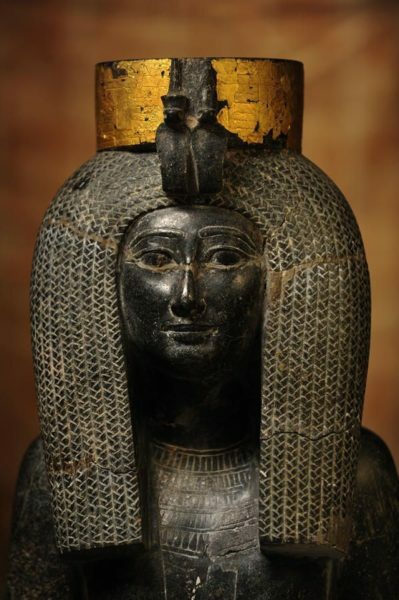 We know that she initially wore a single iaret and that the famous wooded statue of the royal wife (below) was adapted at some point and the single cobra replaced by two. 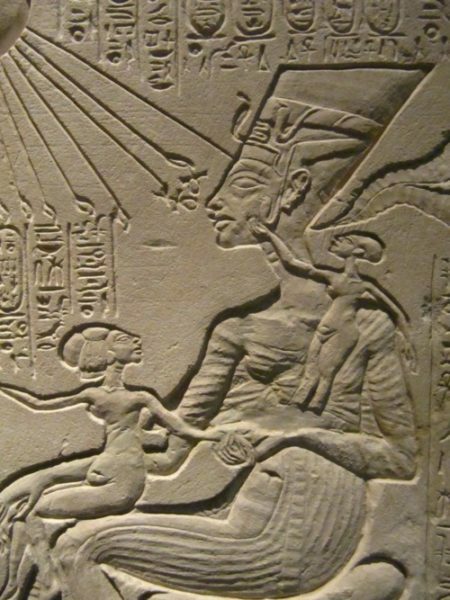 Possibly following on from Tiye, Nefertiti who was wife of Akhenaten Neferkheperure-waenre (1351-1334 BCE) in the early part of their reign also adopted the dual cobras, but not the vulture. 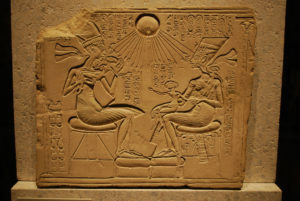 And on the famous relief (below) the royal wife is shown with 3 cobras around her crown; and one of the royal children plays with one as if it were alive. This changed in the later years when the single cobra was used for her representations. Nefertari, Principal Wife of Rameses Usermaatre-setpenre (1279-1213 BCE) in Dynasty 19 continued the tradition of wearing the double cobra, as seen on the colossal statue below and most of her other sculptures. During this period the double form seems to have been used to distinguish her as the Principal Wife. As noted the Kings of Dynasty 25 wore two cobras on all of their representations, and were the first royal men to do so. 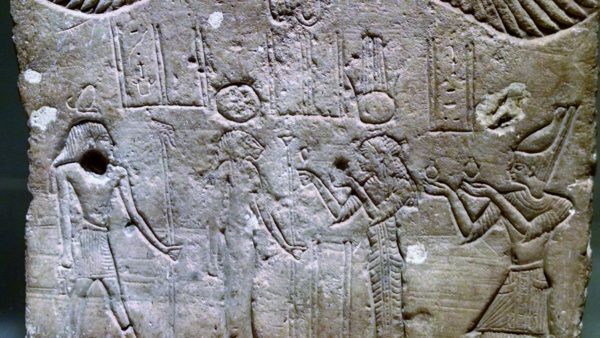 The royal women during this period who were associated with the motif also had the elevated role of being the wife of the God Amun/Imen. On the tomb chapel of Amenirdis she and her successor Shepenwepet both wear the crown of the god (above). 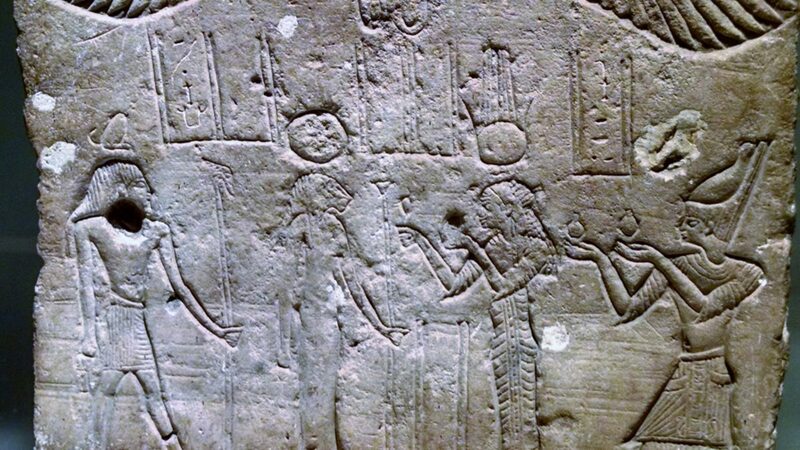 As goddesses on the relief the two women are shown with the divine vulture and headdress. However, on statuary they were shown with two cobras and a vulture. 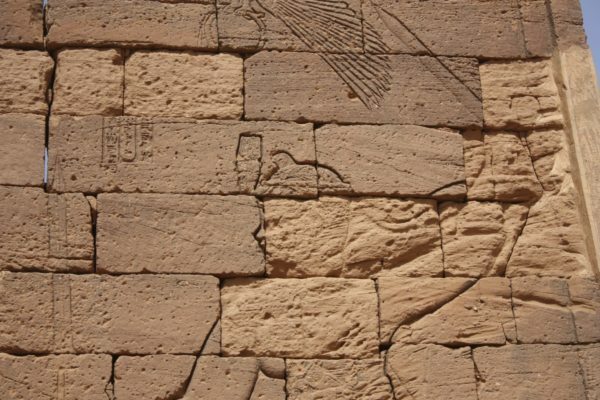 It seems likely during this later period that the double cobra and vulture were associated with title and role of God’s Wife of Amun/Imen. 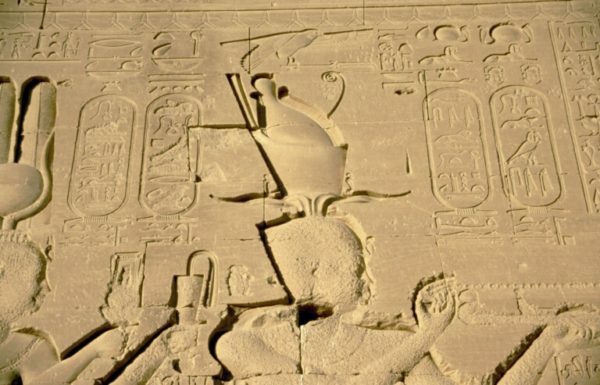 For the male rulers of Dynasty 25 the dual iaret seems to be associated with the two kingdoms of Kemet and Kush, and this is certainly the conclusion that most Egyptologists draw, not least of all because it appears on sculptures in both kingdoms. The dual iaret seems to have been reserved for royal women who fulfilled a particular role and is actually not at all commonly found. It can be associated with the roles of God’s Wife, Principal Wife of the King, and King’s Mother. Later in the Ptolemaic Period a triple form appeared. What this tradition shows is the careful consideration that went into representing members of the royal family and that this practice was ever-evolving, through until the last resident rulers, their wives and mothers. This image has to be one of the most iconic to have survived from Ancient Kemet. Nefertiti was the Great Royal Wife of Akhenaten. The Ancient Kemites didn’t actually have a word for ‘queen’, instead royal women took titles that described their position in the royal house. Both principal members of this royal family changed their names. 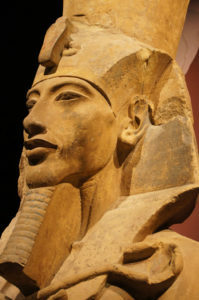 Akhenaten, who ruled from 1352-1334 BCE changed his name from Amenhotep in the fifth year of his reign. Nefertiti, which means the Beautiful One is Here adopted the name Nefernefruaten, which translates as: Perfect One of Aten’s Perfection. 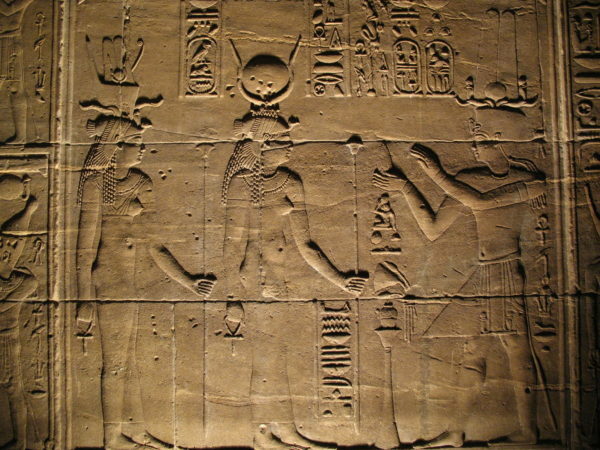 The Aten being the divine sun disk, which was worshipped through the royal couple. It can been seen on the relief below, with rays that terminate in hands cascading down on the royal family. 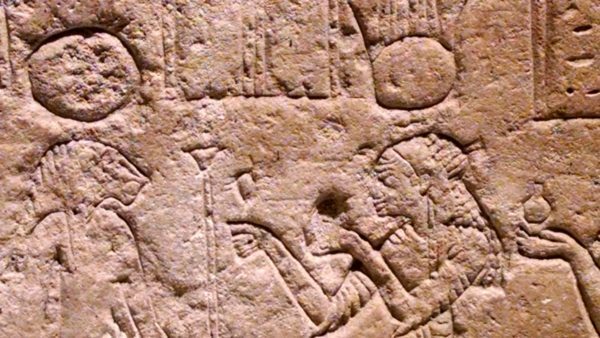 A relief showing Akhenaten and Nefertiti with their family. Egyptian Museum, Berlin. In her initial portraits Nefertiti adopted the same features as her husband, but can be distinguished from him by wearing two cobras on her brow (a double uranus) as opposed to one. 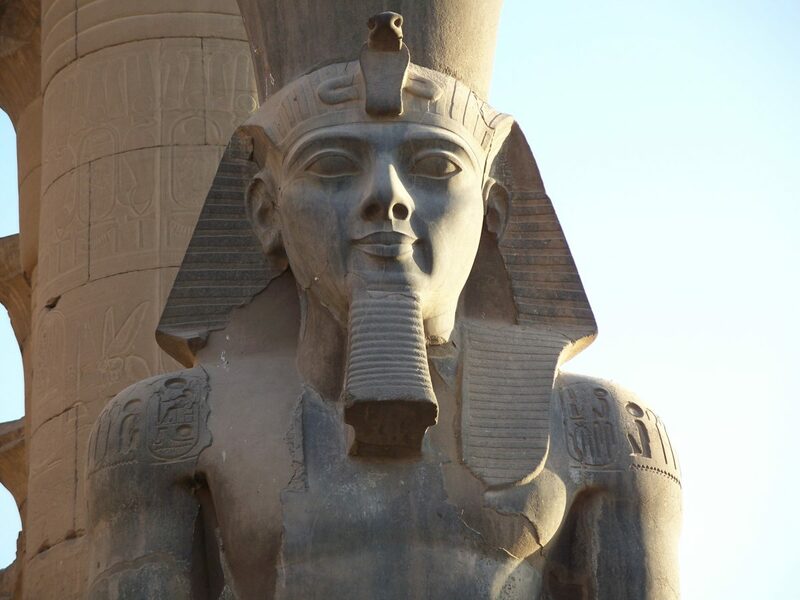 This portrait type is best illustrated by the colossal statues from Karnak (see below). However, in time a new portrait type emerged. One of the colossal statues from Karnak representing Akhenaten. There are still many questions remaining with regard to how long Nefertiti ruled for and whether she was replaced by her daughter as the principal Royal Wife. As a consequence, where statues were uninscribed it can be difficult to say with any certainty which royal female they represent. This problem is compounded by new artistic developments in the production of stone sculptures, whereby artists began to produce composite pieces; carved out of different pieces of stone rather than a single block. The identification of the statue below is questionable. 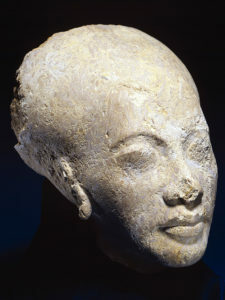 It is clearly from the so-called Amarna period and it could represent Nefertiti. Or it may represent one of the other royal daughters. Limestone statue representing the principal royal wife, Nefertiti, or a princess. Copyright: The Fitzwilliam Museum, Cambridge. You will notice the elongated head, which was characteristic of the early royal representations during this period. A natural comparison with the practice of head binding amongst for example the Mangbetu people is often made. However, I would urge caution because we cannot show a direct continuum from one culture to the other. What we can deduce is that this feature was an important enough to include in the early representations of this Kemite royal family. The famous portrait of Nefertiti depicts a more mature woman, wearing an unusual crown that became synonymous with her and which is found on other representations of the royal wife. It was found in the workshop of an artist named Thutmose at the royal city of Akhetaten. 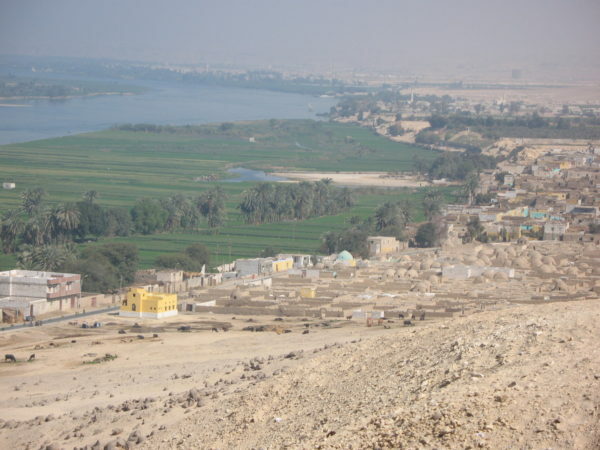 This city was the capital of Kemet during the reign of Akhenaten, but was later abandoned by King Tutankhamen. The sculpture is 48 cm high and is made from limestone covered in layers of plaster and was then painted. The sculpture was, however, unfinished. A striking feature of the piece is that only one inlay for the eye is present. No adhesive has been found in the second socket, suggesting that this is how the sculpture was left by the artist Thutmose. It has been suggested, therefore, that it was in fact a sculptor’s model rather than a representation that would be used as a finished piece. 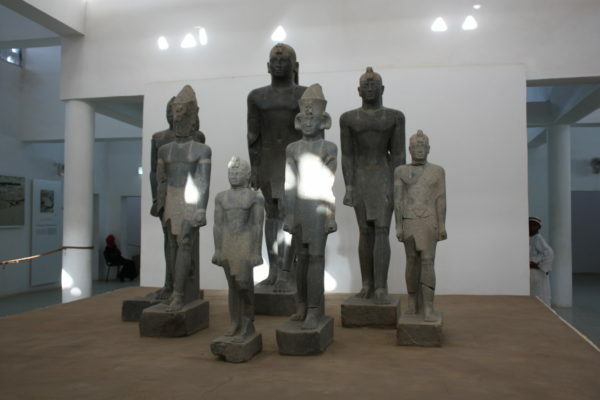 We don’t have sculptors’ models for all periods of Kemet’s history; although this is possibly due to lack of survival of artist workshops. The two periods where we have examples of such models are during the reign of Akhenaten, and then much later during the reigns of the early Ptolemaic rulers in the third century BCE. Another unfinished piece representing Nefertiti that was also found in Thutmose’s workshop shows the artist’s guidelines on the surface (below). The features on this particular piece are a cross between the Cambridge statue (above) and the famous bust. Such sculptures enable us to understand the complexities of defining and disseminating the royal image. They explain how, in such an expansive country, the King and his consort were able to control how they were represented. 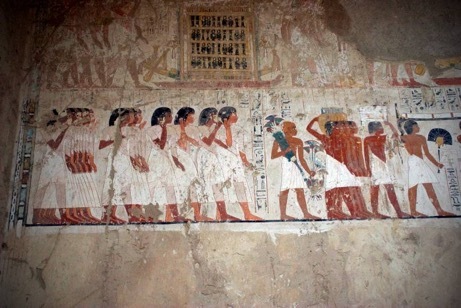 And they are also testimony to the skills of the artists of Kemet. As an archaeologist, I generally refrain from viewing material culture as ‘art’. 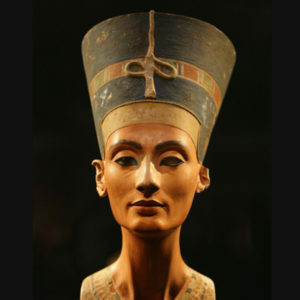 However, there can be no doubt that not only is the famous portrait of Nefertiti part of an important artistic process, and the product of a master artist of the time, but it is also an artistic masterpiece that rivals anything that has since been produced. I have always hesitated to take part in documentaries, because although they set out to be factual, producers often have a set agenda and story that they wish to explore. This agenda quickly becomes apparent in the types of questions that are asked of specialists, and no matter how hard you try to avoid acquiescing, it is the filmmakers who have the ultimate control in the way that they edit. In 2008 I was asked, in light of writing a book on Cleopatra, to take part in a documentary on the subject of the queen. The producers wanted to reconstruct how Cleopatra might have looked and asked if this would be possible. I said that it was, by looking at statues of the queen. However, from the offset I said that I would only take part if the producer was prepared not to perpetuate the myth that Cleopatra looked like Elizabeth Taylor in the eponymous film. Cleopatra was descended from Macedonian Greeks, who first arrived in Egypt with the army of Alexander the Great in 332 BCE. Following Alexander’s death in 323 BCE Ptolemy, one of his generals, took control of Kemet. By the time Cleopatra first came to power in 51 BCE her family had lived in Egypt for two hundred and seventy-two years. In terms of Cleopatra’s immediate ancestry we do not know the identity of Cleopatra’s grandmother, who was a concubine rather than official wife, nor are we certain who her mother was. It is therefore possible that the concubine(s) were either of Macedonian Greek descent but equally possible that they were indigenous Kemites, along with the majority of the population at that time. We know from documentary research that an increasing number of the population of Ptolemaic Egypt had mixed Greek-Kemite ancestry. This can be documented through people’s names. With this in mind, I began to work remotely with a company that specialised in computer-generated images. I sent them photographs of a statue of Cleopatra that was found in Rome at a sanctuary of Isis (below left). In case people are wondering, the nose was damaged when the statue was used as ballast in a later building on the site of the original sanctuary. In spite of the statue’s later fate, aside from some surface damage to the nose, all of the features (including the original shape of the nose) were present. I naively thought that this would be a simple task. The initial images that were generated can be seen above alongside the original statue. Although the fullness of the mouth has been maintained, little else of the physical features have survived. 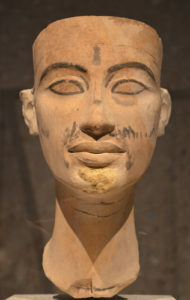 The nose has been narrowed, the fullness of the jaw line has also been trimmed, and the eye shape is not true to the original. The initial attempts looked nothing like the statue. However, eventually we were able to produce features that were closer to the original statue than the first attempt (above). There next challenge was the hair. On the statue that was used as a model for reconstructions Cleopatra is shown with layered locks. 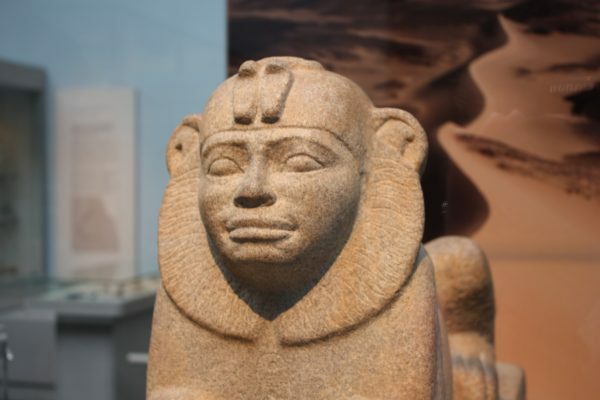 The style is a longer version of that worn by Kawit, who was a royal wife of King Montuhotep Nebhetepre, who ruled Kemet from around 2046 to 1995 BCE. 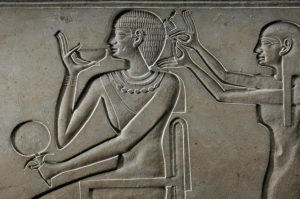 Kawit appears on the side of a sarcophagus (coffin) with her hairdresser, who attaches a piece of styled hair to the royal wife’s head (below). In addition to her hair, the statue (left ) presents the queen with a vulture headdress (the head of the vulture is now missing); this symbol identified her as a goddess. The statue doubtless shows Cleopatra as Isis. 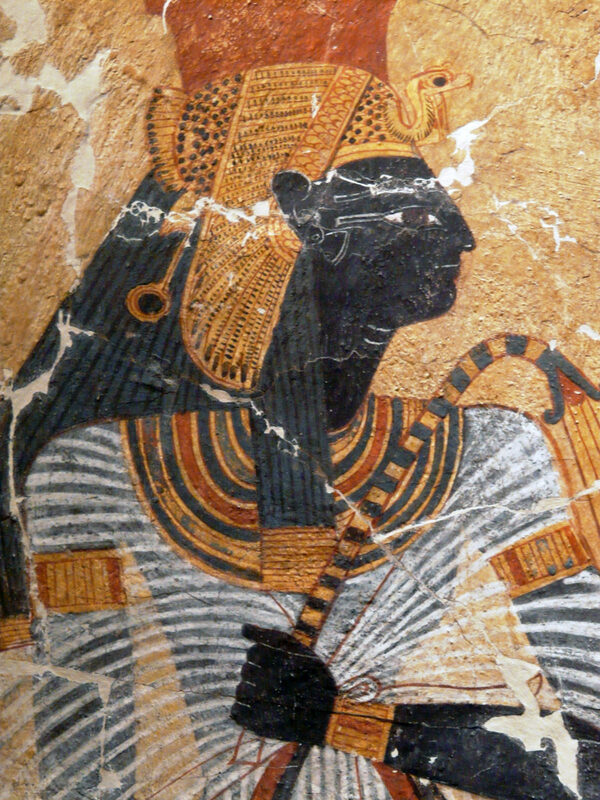 All of Cleopatra’s representations in her homeland show her as an Egyptian ruler. It is only on coinage minted overseas and on two sculptures that were manufactured in Italy that she was presented with Greek iconography, showing her as a Classical ruler. 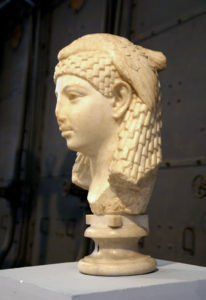 Detail of a sculpture representing Cleopatra. Vatican Museums, Pius-Clementine Museum. 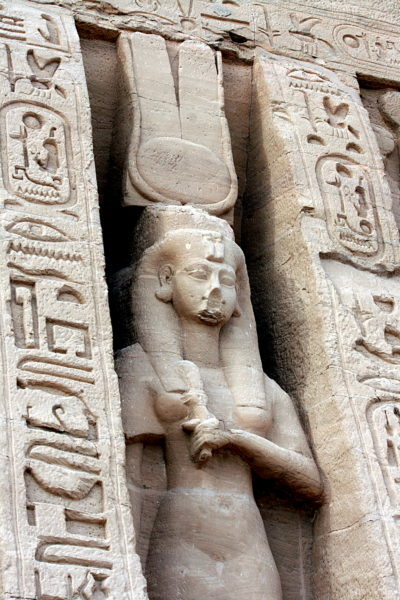 The two Classical sculptures (see one example above) also depict Cleopatra with coarse, curly hair; in both instances it is twisted and pulled back into a small bun. 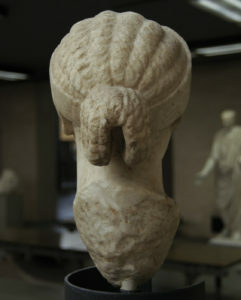 The hairstyle was unusual on Classical sculptures, and if we compare the queen’s hair to her predecessors we see waves but not with the coarseness or to the extent that we find on Cleopatra’s Classical-style representations. In short, the closest parallel that I could find for her hairstyle was either twists or plaits that are both commonly worn by people of African descent with African-type hair. 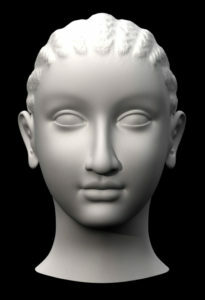 The resulting style that was created by the digital artists was somewhere in between (see below and also feature image). Just before the documentary was shown, The Daily Mail (a tabloid newspaper for those reading this blog outside of the UK) ran an article on the reconstruction. The article was entitled ‘Sorry Liz but THIS is the real face of Cleopatra’. The article summarised the documentary and showed a picture of the reconstruction. 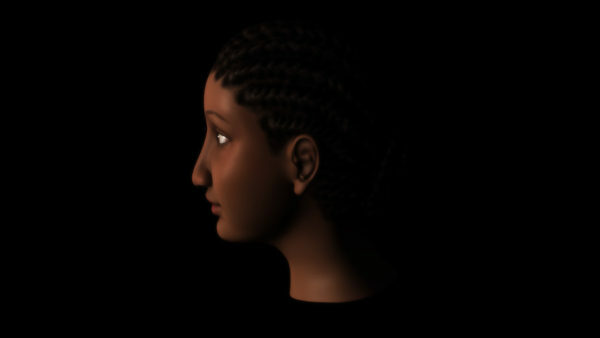 The wider circulation of the reconstructed images and the opportunity for readers to share their comments on the newspaper’s website, provided a forum for the general public to air their, unsubstantiated, points of view on the racialized identity of Cleopatra. Some comments were dismissive, others were outraged, and some revealed racist attitudes and ideals embedded within the doctrines of European/White supremacy. From a social psychological perspective, many of these comments enable a clearer understanding of the roots of prejudice and racism more widely. 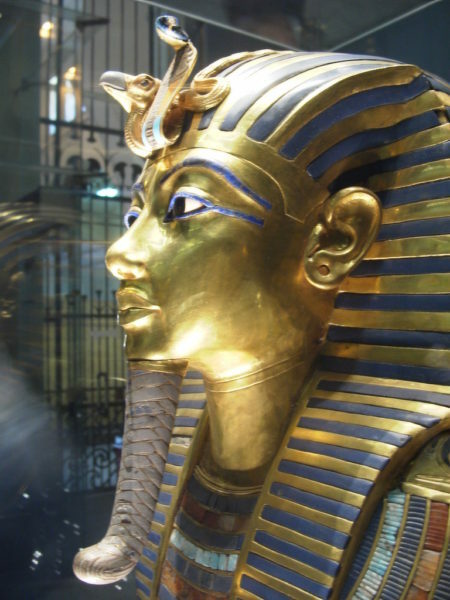 Many reminded me of an encounter that I observed in New York in 2006, and which I wrote about in one of my books on Cleopatra (Cleopatra and Egypt). I was undertaking research at the Metropolitan Museum of Art and heard a man, who it seemed from the conversation was of American nationality and Greek descent talking to his sons. He said to them that in school they would be told that the Egyptians were the forefathers of African-Americans and that this was wrong. 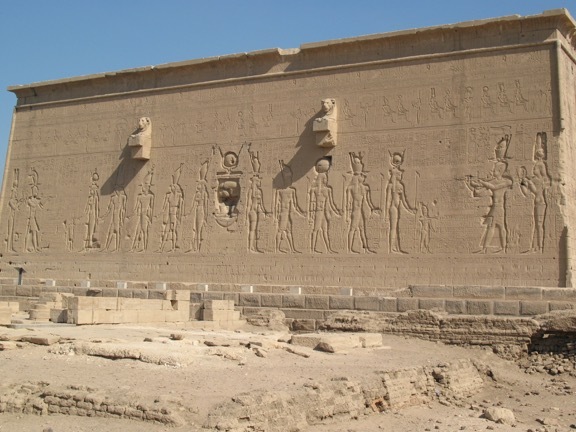 He asked his children if the figures on a temple looked like African Americans and they shook their heads in agreement with their father, who then went on to remind them that Cleopatra who was Queen of Egypt was Greek, as indeed were their own ancestors. The temple to which the man referred dated to the reign of the Emperor Augustus. It was not, therefore, a representative example for the man to use in his lesson. Nevertheless, this conversation and many of the responses to the idea that ancient Egypt was an African civilisation and that Cleopatra may have been herself part African are revealing in the sense that they allow those of us to see exactly why people react so vehemently against the idea. If the idea that Cleopatra was of mixed African/Macedonian Greek ancestry is so bizarre, why do people respond so strongly? Why does she have to remain ‘pure’ as one commentator on the Daily Mail website stated? The answer lies in an earlier post that I wrote about cognitive dissonance, and in many respects the Cleopatra ‘experiment’ reveals this. It is strange that people use Shakespeare and Hollywood to evidence how Cleopatra simply couldn’t have looked like the proposed reconstruction rather than turning to the images of the queen that have survived from her lifetime. It is ironic that some people of European descent wish to maintain ownership of Cleopatra. Octavian, who later became the Emperor Augustus, was not so keen to welcome either her, or her son by Julius Caesar to Rome and it is quite apparent that the Queen was seen to be Egyptian.